Just a quick update: It’s March 11th and well, I wasn’t able to raise the $1200 I was hoping for. The total came up about $200 short. However, I’ve decided to go through with the production run even though interest doesn’t seem to be there for the STN1170 based reader. Thanks to everyone who donated/preordered! This entry was posted in OBDII Bluetooth. Bookmark the permalink. I’m interested in your protected and I’m looking forward to buy one of you kits to assemble it on my own, please contact me if you are interested to sell me the PCB , ICs and resistors ” all components ” . Sorry, there are no kits available for the STN1170 (or the STN1110 for that matter) due to the unpopularity of the kits. 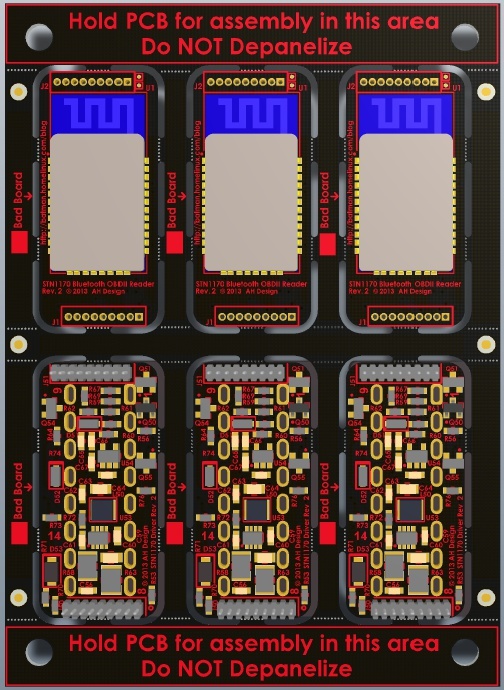 Since the designs are opened sourced, you have everything you need to place your own PCB and parts orders.